Need an energy boost? Look no further! This juice has all that you need to put that “pep” in your step, boost your workout, or if your an athlete, provide that last needed bit of competitive edge. Beets have actually become the new secret weapon among athletes. 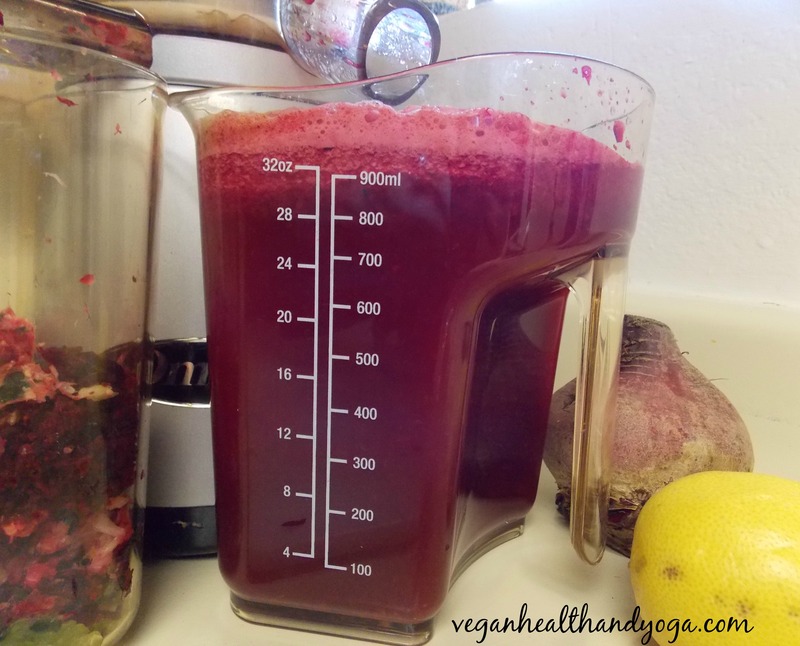 A study showed cyclists who drank a large serving of beet juice rode 20% longer! Beets are so under appreciated but they shouldn’t be. 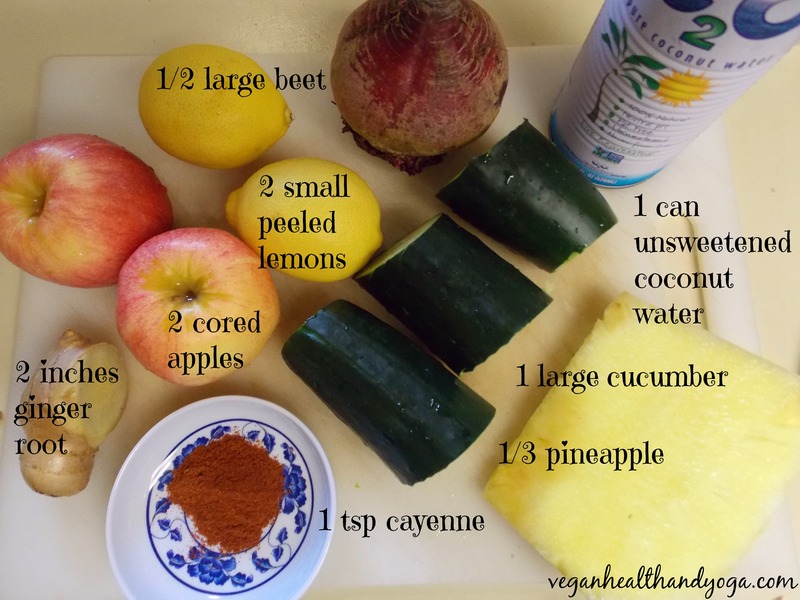 If you don’t like the taste of beets, I encourage you to try this juice recipe because it really does taste amazing! 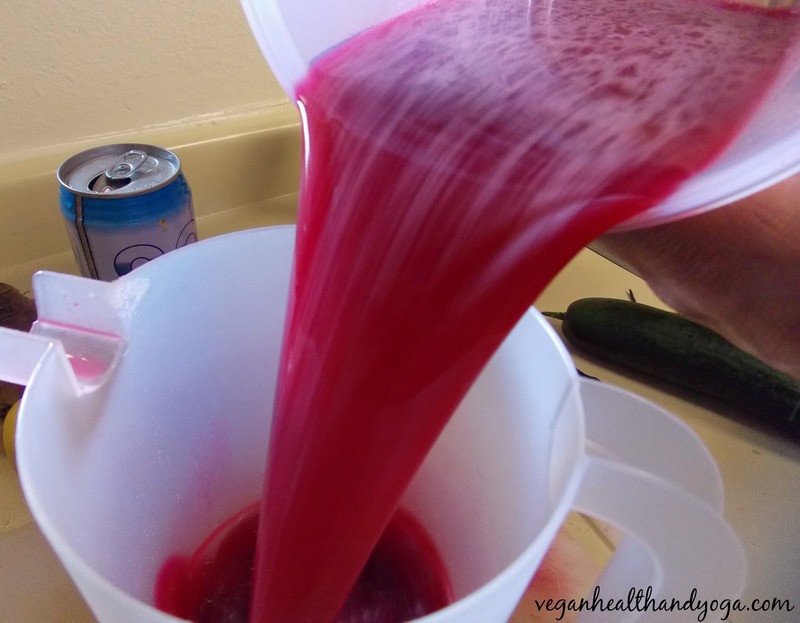 Once everything is juiced, filter it for a smoother taste. COCONUT WATER: Hydrating the body has been scientifically proven to help with weight loss because a dehydrated body slows the metabolism. Hydrating the body fights fatigue and can suppress the appetite, increasing the body’s ability to metabolize stored fat. PINEAPPLE: Fights inflammation and is a high water content food, helping you feel full and curb your appetite. It also contains an enzyme known as bromelain, which speeds up digestion and boosts the metabolism. APPLE: Apple peels have a component known as ursolic acid, linked to a lower risk of obesity. Apples have been shown to energize you better than coffee! CUCUMBER: Provides hydration and cleansing properties. They are a natural diuretic which can help banish water retention and bloating. LEMON: Excellent toxin eliminators and alkalizers for the body. They can also acts as a mild diuretic helping to reduce bloat. GINGER ROOT: Researchers at the Institute for Human Nutrition at Columbia University found enhanced thermogenesis and reduced feelings of hunger with ginger consumption. This thermogenic effect activates the metabolism. CAYENNE: Peppers boosts the metabolism with fat burning properties and decrease the appetite. Eating spicy foods raise the body temperature. When the body temperature rises, it needs to be cooled so you burn more calories when the body goes through a cooling process. Love the color of this juice! 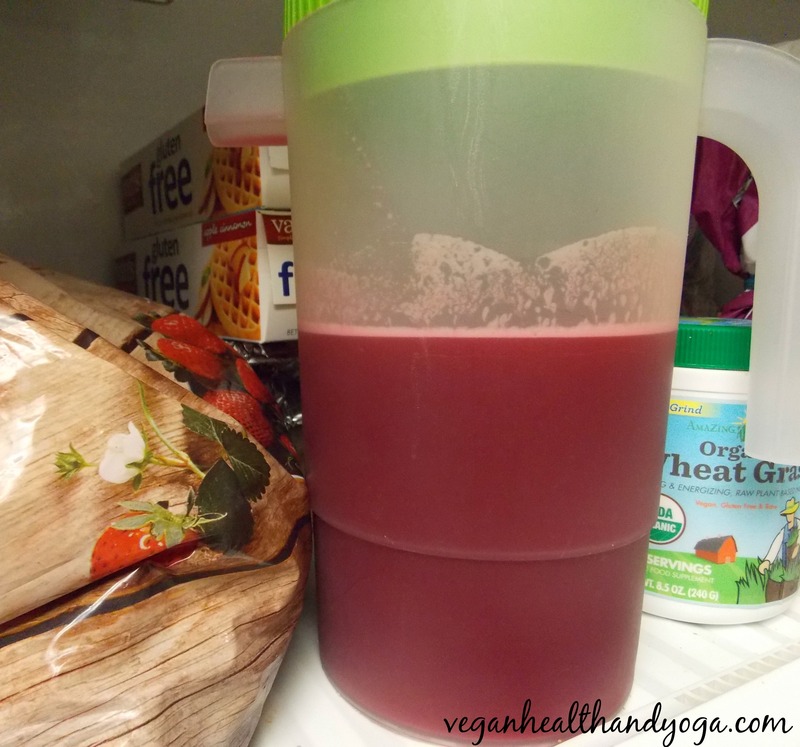 I like my juices cold so I stuck my pitcher in the freezer for about an hour, excellent way to keep you going during your workout!